Completion of ARC Welding 7018, and students also complete the skills required for ARC Welding-Aluminum. 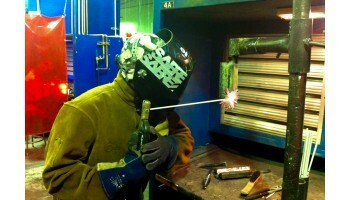 They then begin working on MIG Welding-Steel. Purchase of apparel and materials is required for adults, but is optional for high school students (approximately $150). Completion of Welding I, II, III, IV prepares the student for the 3G & 4G Structural Certification Exam. Herminia Degeis C. has successfully found employment as a Medical Assistant after completing course(s) in Medical Assisting. Juan V. has successfully found employment as a Shop Helper after completing course(s) in Welding I - IV.